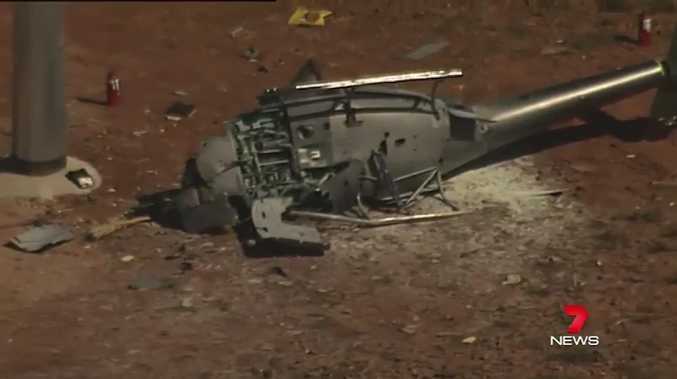 The Civil Aviation Safety Authority said the man was flying a Eurocopter AS350 - a large but light utility aircraft - to lay cables at the Carrapateena Mine. "The evidence collection phase will define the size and scope of the investigation and determine the expected time frame for the completion of a final report," he said. "Our thoughts are with the pilot's family and colleagues at this time," a statement said. This crash comes a week after a pilot was injured after crashing his helicopter into power lines near Naracoorte in the state's South East.